The success of the CBA depends on the dedication and commitment of its members. All memberships expire on March 31st, as the Membership year begins April 1st. Beginning on January 1st, you may renew for the following April 1st to May 31st period, at the standard rates ($55 Individual / $65 Family & Business). Be sure to renew your membership to continue to enjoy the people, events and resources that make the CBA a valuable organization. Application for renewal of membership in the CBA indicates that you have read and agree to the safety and sexual harassment policies. If your e-mail address is not recognized please e-mail to the Secretary to have your e-mail address updated. 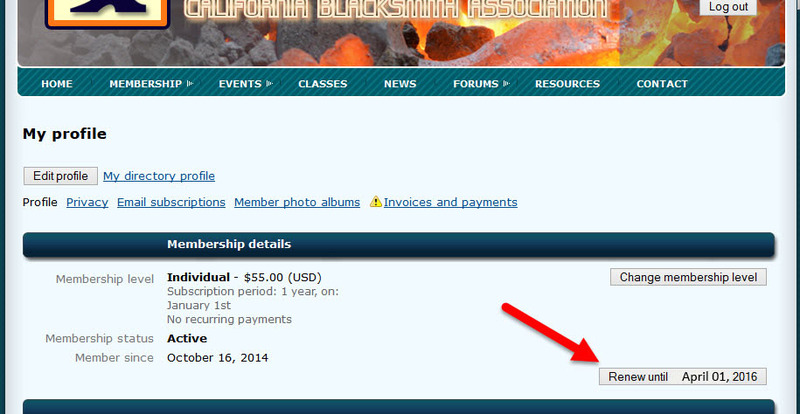 Members can renew their membership from the membership renewal notice they received by email, from the CBA website or by mail. If you are existing member and have an email you will receive RENEWAL NOTICE and INVOICE emailed to you 30 days prior to expiration of your membership. If you click the View Invoice Online link within the emailed invoice, you will be able to view and pay the invoice online without logging in. FIRST TIME LOGIN : If you don't have a CBA password click the 'Forgot Password' link to establish a password. You will receive an email with a link to create a new password. 'My Profile' and click 'Change membership level' button first. Do this before paying your invoice. 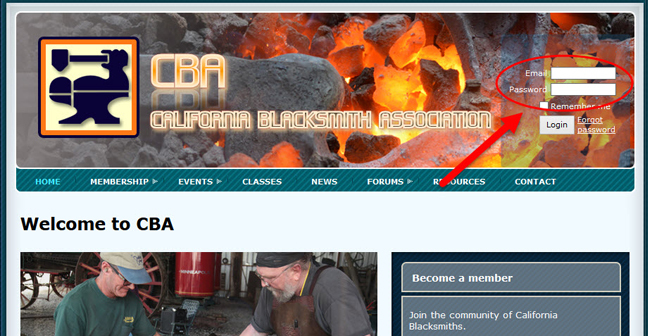 Contact the CBA Secretary Herb Upham (707)-823-1251.